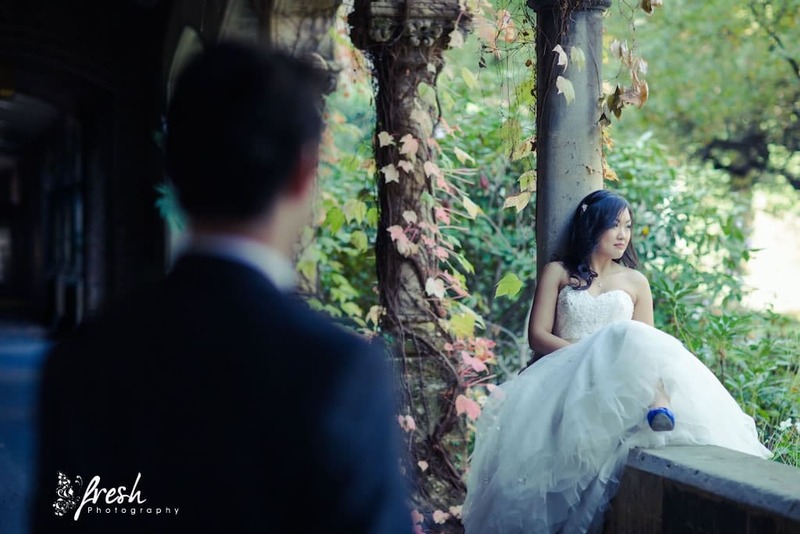 It was a blend of two cultures when Tina and Chris wed last Saturday. The day started off early with the traditional Chinese tea ceremony at Tina’s parents home in Wantirna. The procession then headed to the couple’s home in Bayswater where Chris and his groomsmen walked down the street to the beat of traditional Macedonian music, to collect his bride. 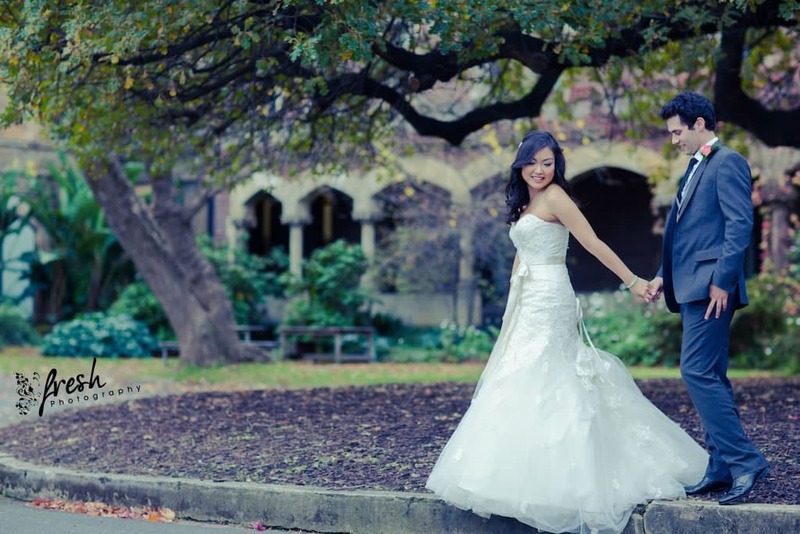 The wedding ceremony was held at Ascot House Receptions in Ascot Vale. Tina and Chris shared their vows in front of friends and family, underneath romantic fairy lights and orange Chinese lanterns. Candles lined the aisle. 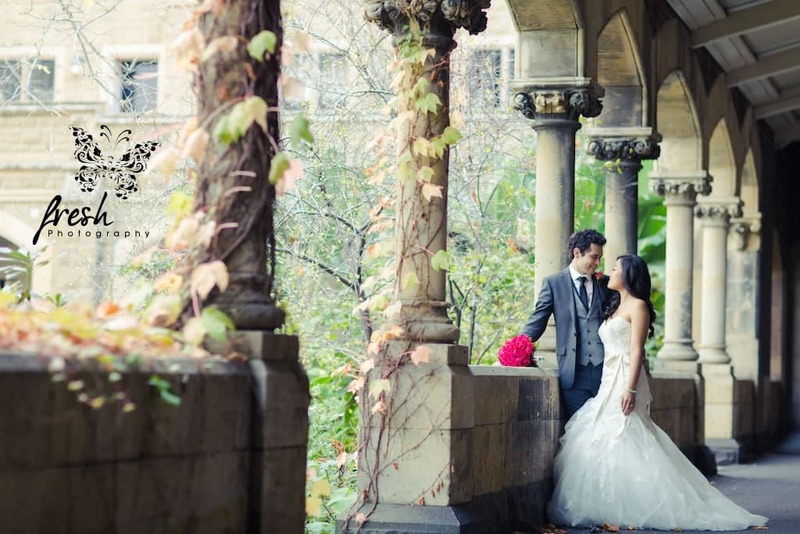 Ascot House is definitely a location for those who would like to add a touch of Victorian charm to their wedding.